Posters are fliers that are mounted or ‘posted’ to be seen by the public. Originally called 'broadsides’, posters were larger size fliers printed with larger size titles and distributed in public venues like plazas, town squares, churches, and taverns. The first posters, created in the mid 19th century in France, advertised products. They were an entirely new merger of graphics and visual imagery and text. In addition to advertising products, posters soon announced shows at theaters and operas. The posters were colorful and eye catching and quickly became popular. Early posters used metal then wooden type, before moving to lithography printing. Alois Senefelder, of Austria, invented the Art of Lithography in 1798. By 1848 as many as 10,000 posters in all shapes and sizes could be printed in an hour! Posters became so popular that people began to save and post posters as art in their homes. Engage the public. Engage the public! Post a poster! Everyone likes to explore new places. Travel posters show the excitement of travel. Early posters showed the first cars as machines to take the family out to the countryside for fresh air. Train travel invited people to explore mountains and valleys, cities and beachfront!! Ocean liners were presented as glorious ships exploring the seas. 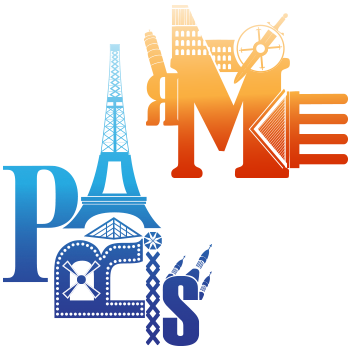 Research someplace you would like to travel to. Take notes and collect photos of main sites to see. Copy maps of the area. Collect your information and your images. Think about the message you would like to communicate about your destination. Sketch three ideas for your poster. Use titles, text, and images. Try different colors. Set them side by side and consider them. Which delivers a clear message? Which presents the most graphic idea? Choose one or a combination of your posters to develop. Create a final poster. Post it! Observe people observing it. Does your poster engage? Does it offer big ideas? Does it offer details? Does it make people want to explore the world and travel? Posters began to be posted in France in the mid 19th century in public places around the city. A Frenchman, Jules Cheret (1836-1933) known as the ‘father of the poster’ was the first to create posters as works of art. The streets were his gallery. 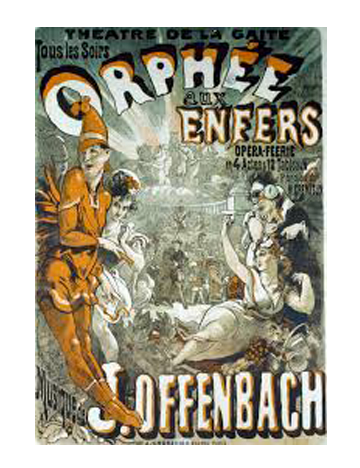 His first poster entitled Orphée aux Enfers (1858) shows rich use of color, strong composition, ti Posters communicated and promoted ideas and events, but they also captured the culture and spirit of the times. King Louis XIV even had boards mounted throughout the city as proper posting areas in advance of what we now know as billboards. Cheret used the new four-color lithographic process to create highly stylized graphic art that integrated text and image. In 1889, Cheret was awarded Frances’s Legion of Honor for creating this “new branch of art.” Along with Cheret, the French artists, Henri de Toulouse-Lautrec and Pierre Bonnard, and later the Czech painter, Alphonse Mucha created posters as well. Their style and manner of drawing and illustration created very different imagery. Research French posters and create a poster about something in your community in the manner of Cheret, Toulese-Lautrec, Bonnard or Mucha. Use your bedroom or your hallway as your gallery! Posters-from simple declarations to drawings to images-call call out to people in the street and can be heard and understood all over the world. Hand made or mass -produced, the poster is a public posting that communicates ideas and positions about war and peace, art and literature, fashion and markets. Posters reveal the truth or challenge accepted beliefs. Posters are historical artifacts that reveal culture and art of a time and a moment and a voice. The poster may be posted for a day, but it tells the history of an era. Research posters from the decades of the twentieth century. Look for changes in message, content, style and imagery. Make a time line of at least five posters and analyze what their goal was for public imagination. Data is the new language. Using information to form powerful, clear and persuasive messages is becoming the norm. To make points, one needs to back up points with data and information. 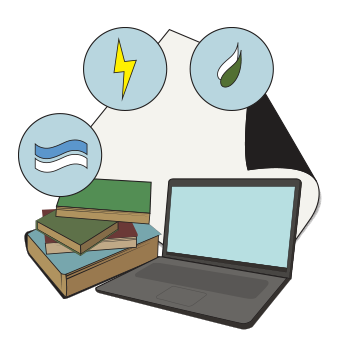 In this activity you will research a topic and make poster that uses data to communicate a message. For instance, think about environmental issues. Consider the basic water, energy, food nexus. Research one of the topics further and make a poster that gives information about the subject. Layer levels of information with graphics, words and charts. Make a powerful poster about perceptions, behaviors and interactions. Post your poster at your school, in the library, in poster areas in your city. 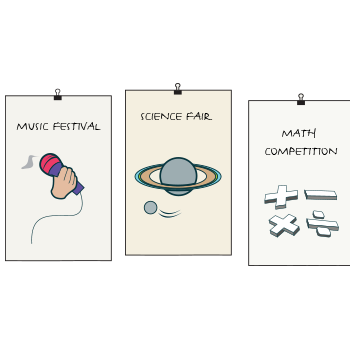 Portray the world’s stage of activities in your very own school! Cause posters are posters that urge people to take action and join together to create a movement or to create moments of awareness to change perceptions and possibly actions. Choose an issue. There are many. Perhaps you are in a club at school that needs to raise interest in a topic. Research the issue that interests you. Find out the root of the issue as much as possible. Find out what the sides are that people are taking. What do you want your poster to initiate? Do you want to call a meeting for discussion? Do you want to raise awareness? Do you want to raise tolerance or acceptance or understanding? Do you want to change perceptions? Brainstorm ideas. Create word maps for the ideas that you have, Share them with others to get feedback. Narrow your choices and start to do research. Look at what has been done in other arenas. Think about what you could contribute. Develop three schematic ideas that combine text with images with a message. Mock them up and get feedback. Refine them and print them as options to communicate the same idea. Get feedback again. Refine your ideas and graphics and image and layout and… print your final poster. Now is the time to make your work public. What is design? What does it do? Why is important? Now it is your turn as a designer to design a poster that introduces design. We live in a designed world. Everything around most of us has been designed by someone, somewhere, sometime. At some point most of us will leave this designed environment to take a designed environment to yet another designed environment. With design surrounding us, how can we make design more accessible and tangible to others? The more people know about design the more it will be valued as contributing to the health of society. What is your take on design? What design fields should people know about? What creative aspects about design could capture imaginations? What about the world needs to be re designed? So much to think about! Better get started.